Leave your message below for RPCVs who served in Azerbaijan. Hello! My name is Joshua Wandro. I'm scheduled to leave for Azerbaijan to teach english this May. I was hoping to get in contact with a returned volunteer. Anyone out there? Hi Joshua . i'm not an American i am Azerbaijanian. i have been an excahnge student not long ago. i thought it would be interested for you to get acquainted qith a person from the country you are goin to. if you are interested in any questions i can help you with great patience and interest. i just sometimes get acquainted with the excange students from USA or volunteers,because i have the same purpose to help the youth and nations of Azerbaijan and America to excange great cultural experiences. 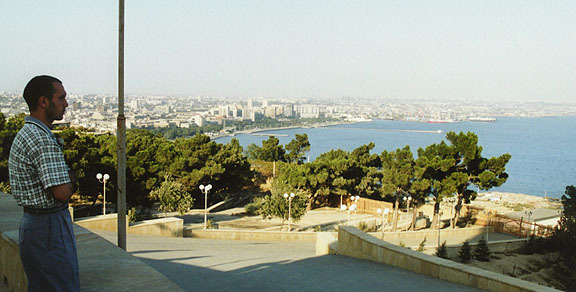 I know as much as you do about Azerbaijan because I'm going there at the end of June to teach. Do we go in groups? Strange that they have teachers leaving at dif. times...I guess it depends on the school or region...I'm searching for Azerbaijan RPCV to chat with too. Let me know if you find any thing.